As in past years, PI (PROFIBUS & PROFINET International) has initiated a certified count of devices used in the market. The returned figures show that in 2013 the trend of strong growth for PROFINET and PROFIsafe continued while PROFIBUS maintained its very high level. There were 3.6 million new PROFIBUS nodes in the market in 2013. This increased the number of installed PROFIBUS devices to over 47.4 million. Of these, 8.2 million are incorporated in process automation plants. 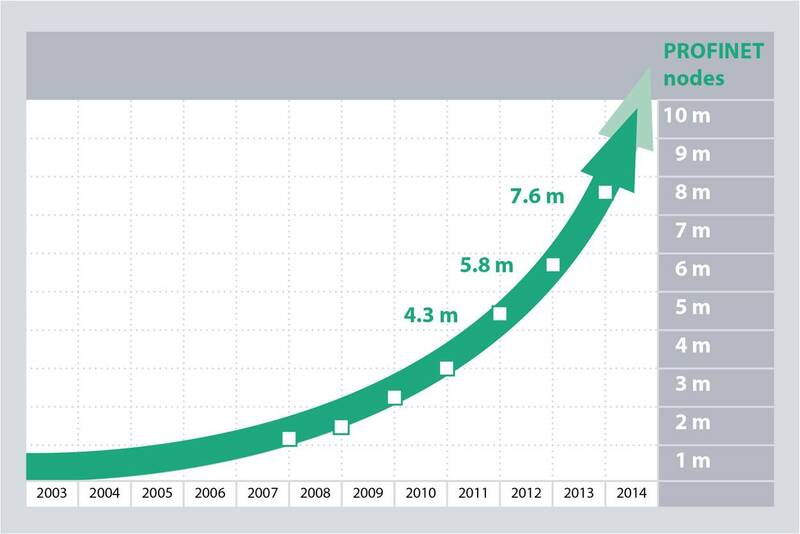 With a growth rate of newly added nodes of 20%, the number of PROFINET devices installed now stands at over 7.6 million. Particularly pleasing was the above-average growth rate of PROFIsafe of 33%, bringing the total number of installed devices now to 2.95 million.